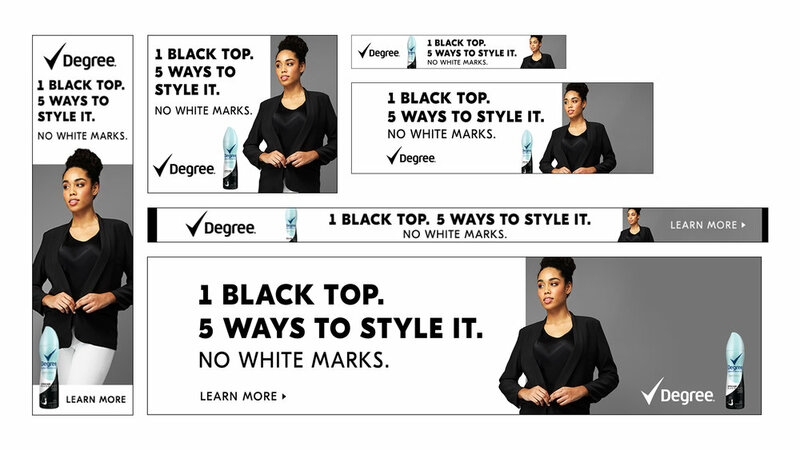 Degree Women came to Amazon for help driving awareness and consideration for their Black + White Deodorant. 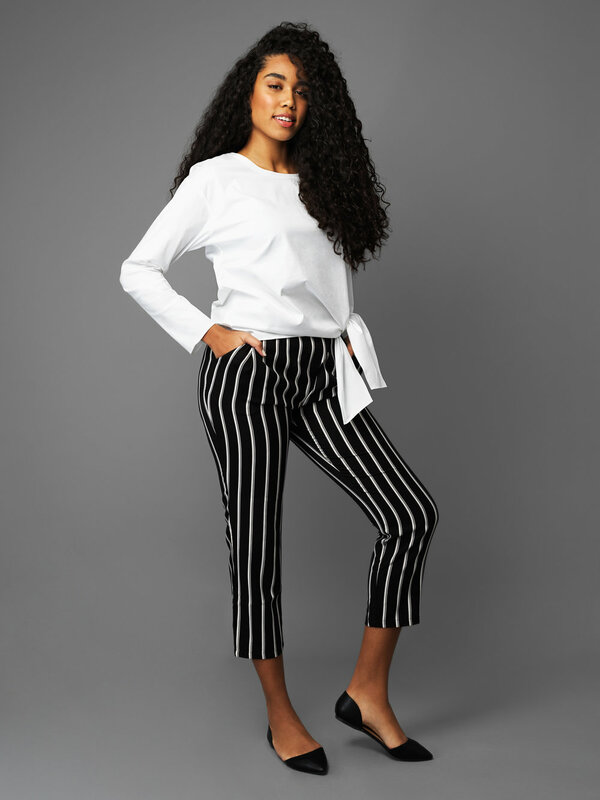 They wanted to associate their brand with high-quality fashion to show how the product helped with longevity of nice black & white clothing items by preventing white marks or yellow stains. 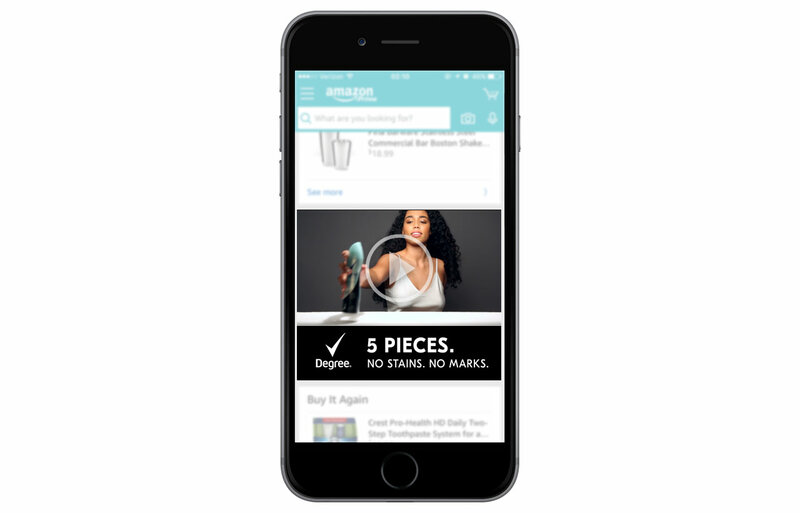 Due to research we discovered the campaign insight that millennial customers are simplifying their wardrobes and buying fewer clothing items, demanding longer lifespans for the nicer clothing items they invest in. As Amazon grows to become the largest apparel retailer in the U.S., more customers are purchasing more high-end items on our site. 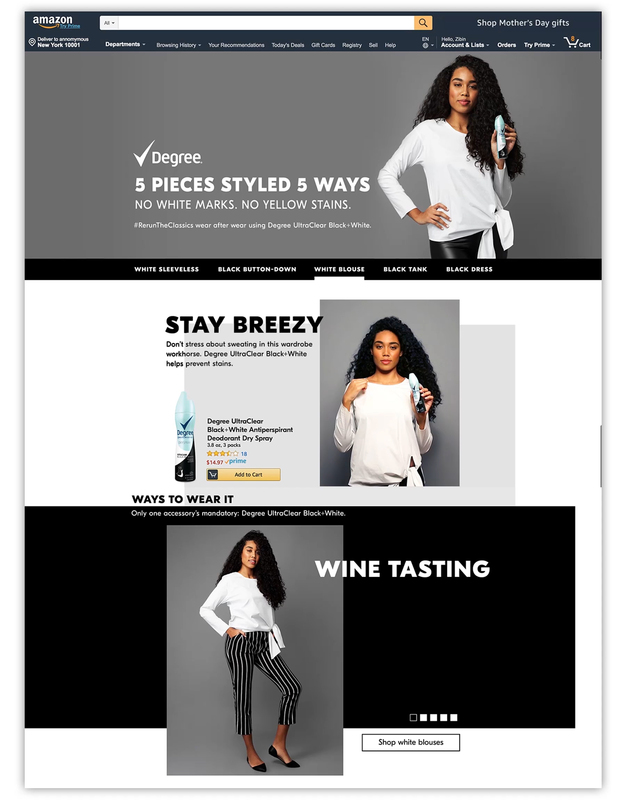 Therefore, Amazon + Degree created a custom experience featuring “5 pieces styled 5 ways” to demonstrate the versatility of high-quality basics and associate the brand with fashion. We curated a shoppable core collection of five items (white sleeveless, black button-down, white blouse, black tank and black dress) and styled each clothing items 5 different ways, for a total of 25 unique featured looks. We showed the product through a premium lens in our shoot with high-quality photography showing clean underarms in our photographs, cinemagraphs and videos. 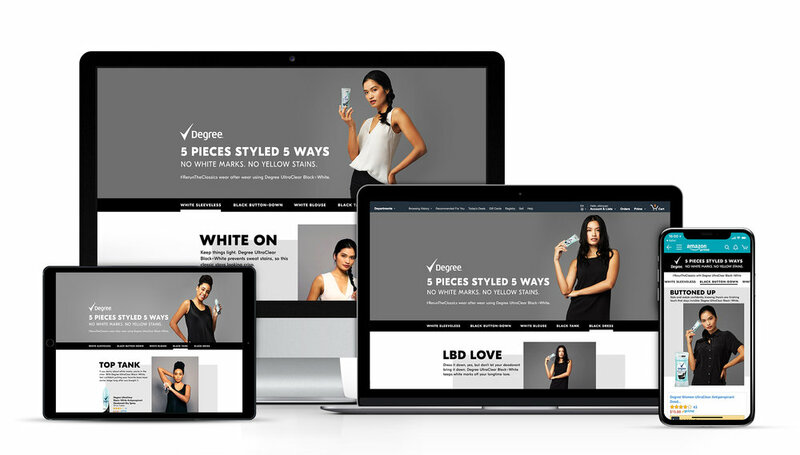 Through a custom landing page experience, AVA and AAP placements, we connected the product to fashion and helped Degree Black & White customers feel confident in their quality clothing purchases. Campaign Experience of Degree Black+White on Amazon.